Being a true wolf means being a quiet warrior, a strong and silent one. A true wolf stands strong in a tough world that is ready to devour anyone and spit them out when they’re no longer useful. A true wolf stands strong for their beliefs amidst opposition on all sides. They embody purposefulness, diligence, and an enormous desire to succeed exceptionally well. In other words, it takes a lot to be a true wolf. 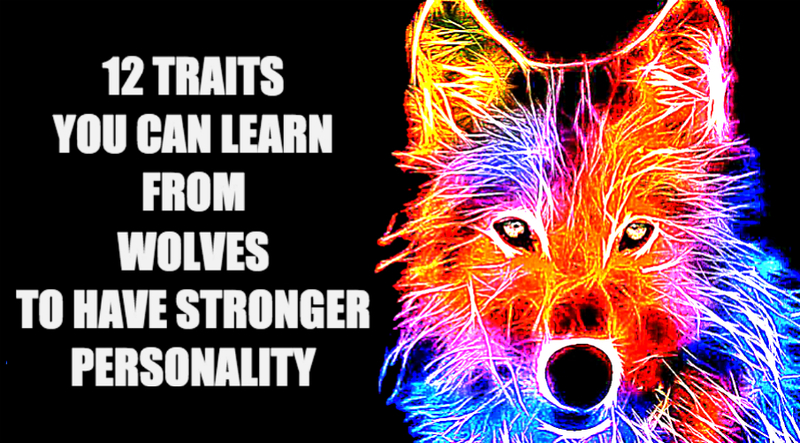 To know whether you have what it takes to be a true wolf, find out from the following 12 attributes a true wolf possesses. 1. Wolves are brave in embracing their uniqueness. They do not fear anything nor feel intimidated by everyone. They stand for their beliefs even against everyone. 2. Wolves are fiercely savage when they have to protect their pack or have to hunt for their prey. They are savagely ferocious in the presence of a threat. 3. Wolves have a singular determination when it comes to achieving their goals. They are single minded in the hunt and ignore every reason to back out because nothing matters to them except for their determination to win. 4. Wolves are proud creatures who learn from those better than them and stand firm against those who are lesser than they are. They know how to read their opponents and devise strategies to take them down. 5. Wolves are fiercely protective. They have the instinct to protect their loved ones and turn savage when they are threatened. 6. Wolves are excellent leaders. They follow rules and allow the alpha leader to lead their pack, protect the weaker ones, assign duties, feed, and protect the young. 7. Wolves are true to their nature. As unapologetically savage creatures, they don’t desire to change just to conform and adapt to new circumstances. Instead, they choose to be true to themselves. 8. Wolves define their own freedom. They live in their own terms and defy being chained down or changed. They choose to be their own master. 9. Wolves practice equality. They are fair creatures who are willing to give you respect when you give them yours. But when you display even the faintest threat, be prepared when they unleash their savage nature against you. 10. Wolves are not merciful. They are ready to tear you into pieces when you aren’t on their side. If you have this trait, you are the kind who don’t give people second chances to mess up with you again. 11. Wolves are never afraid to fare in the dark of night. As active creatures during the night, wolves make the darkness their ally. You are a wolf when you feel strong and empowered in the darkness of your life. 12. Wolves are inherently loners. Though they live, move, and hunt in packs, deep inside, wolves are loners. If you can live independently and see your own solitude in the midst of people, then you are a true wolf.